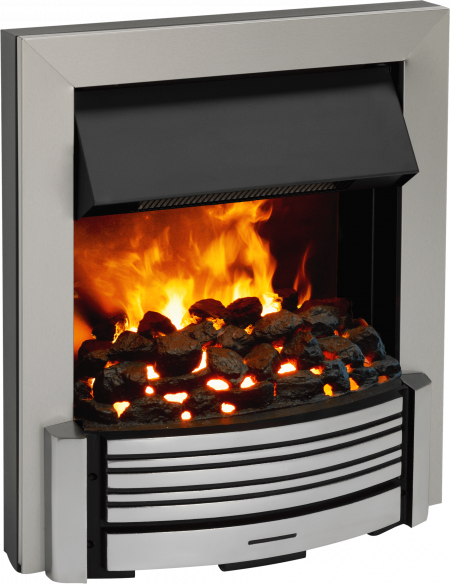 A stylish chrome finish contemporary inset fire with a coal effect fuel bed. 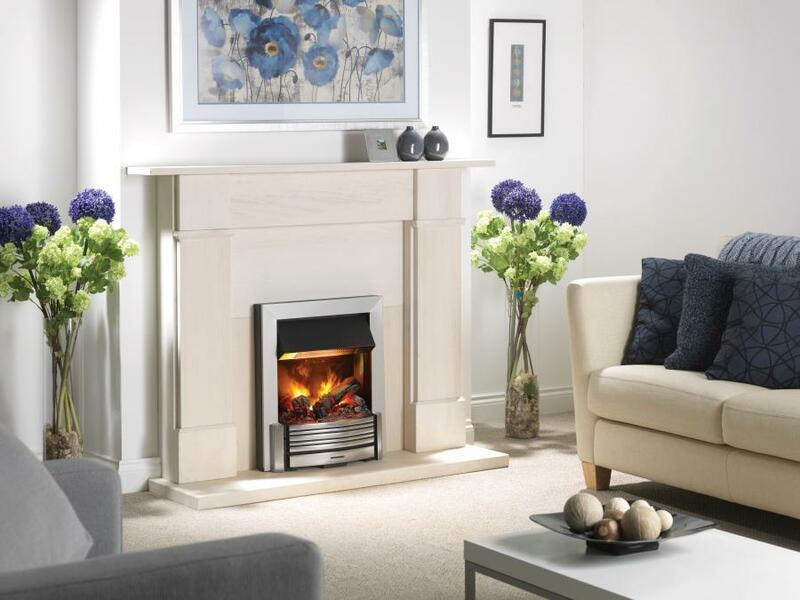 This stylish contemporary inset fire features the innovative Opti-myst smoke and flame effects, a bed of coal, and controls hidden beneath its canopy, all to create a one of the most realistic electric inset fires available. The Opti-myst technology is fully variable, so you can dial in just the right level of visual effects, and can even see them independent of the separate fan heater. The Sacramento can be fitted flat-to-wall with an optional spacer, and comes with a remote control for the feel of a real fire, with the convenience of electric.